* * * Question: I saw some small trees with colorful foliage planted along a street. I was told they were parrotias. Can you give me more information about them? Answer: Persian parrotia (Parrotia persica), sometimes simply called parrotia, is a desirable but relatively uncommon small to medium-sized tree. It is sometimes grown as a very large shrub while young. One of its most is valued characteristics is its fall foliage with a broad range of colors from maroon to crimson to scarlet and gold. As the tree matures, its bark begins to exfoliate revealing shades of gray and brown, making it an especially nice feature in the winter landscape. Parrotia’s rosy flowers in early spring are attractive, but not particularly showy. Although it may be a little harder to find than some other trees, Persian parrotia is worth seeking. 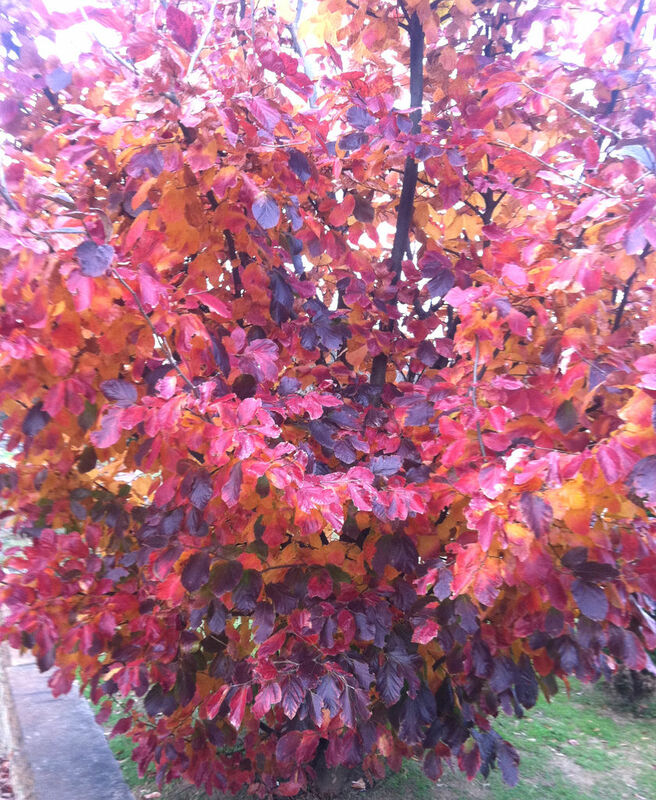 It is an excellent alternative to the overplanted and problematic Callery pears such as the Bradford pear.